IMO the DTaP is DESIGNED (covertly) to lower your ability to fight off Disease I realize this is horrible to contemplate BUT that is what the data tell me. “An Africa study done in 2000, covering a six-year period and examining the health of 15,000 children, showed that the death rate from diphtheria, tetanus and whooping cough was twice as high in vaccinated children compared to unvaccinated children.” More Vaccines or Better Nutrition Prevents Disease? Note if this study were held in the US the results may be the same. No worries "vaccination" is not tested in the good ole USA. Could these tests be run in an HONEST USA? Yes they could. They will not ever be HONESTLY run in the dishonest USA. It is up to YOU Mothers. Yes it can be. Since we started “vaccinating” for pertussis the incidence of pertussis in infants has INCREASED by over 20 Times! The "vaccination" of the parents prevents the transfer of immunity from mother to fetus thus the baby is born with less immunity to pertussis and then the baby's brother comes home from being "vaccinated" for pertussis and coughs on the baby. Pertussis in an infant is the only serious risk for pertussis. "Vaccination" for pertussis has increased this serious pertussis risk by 20 Times. Please think a little about this. “Babies are born with immature immune systems in which Th2 dominates. As their immune systems mature, dominance switches permanently to Th1. Usually, infectious agents enter the body through the nose and mouth, triggering Th1 which normally combats them effectively. But vaccines injected into the body bypass Th1 and over-stimulate Th2." Vaccination: The Basics Note the reason the newborns are born with a Th2 dominant immune system is so their MOTHERS can supply the majority of the infant's immune system because the infant basically has NO IMMUNE SYSTEM for the first few years of its life. When the mother is "vaccinated" against a disease attacking her infant she often has NO antibodies to pass to her infant because the "vaccination" did not provide the mother true long term antibody producing immunity. The classic example of this is Pertussis. Our kids are being turned into children with very weak Immune Systems. As long as their mass "vaccination" with continuous revaccination "boosters" continues this may be able to be covered up at a superficial level. Once we face a breakdown of society at some level AS WE MUST people will be dying like files from the simplest of "diseases". This cannot be a "mistake" IMO. It is beyond CLEAR that Vitamin C in sufficient GRAM doses can both PREVENT and TREAT Pertussis WITHOUT any "vaccination". Pertussis related deaths declined (by 95%) before pertussis vaccine was introduced. The disease is not vaccine preventable. The pertussis bacteria that are blamed for pertussis are always present in the air and so frequent exposure is inevitable. Thus it takes more than mere exposure to bacteria to cause the disease. The disease is treatable by vitamin C and a child can be made relatively comfortable with such treatment although the duration of the cough may not be shortened. The pertussis vaccine is almost certainly one of the causes of the increase in pertussis cases. Other vaccines may also contribute to recent increases in pertussis incidence. Vitamin C is the KEY to pertussis. 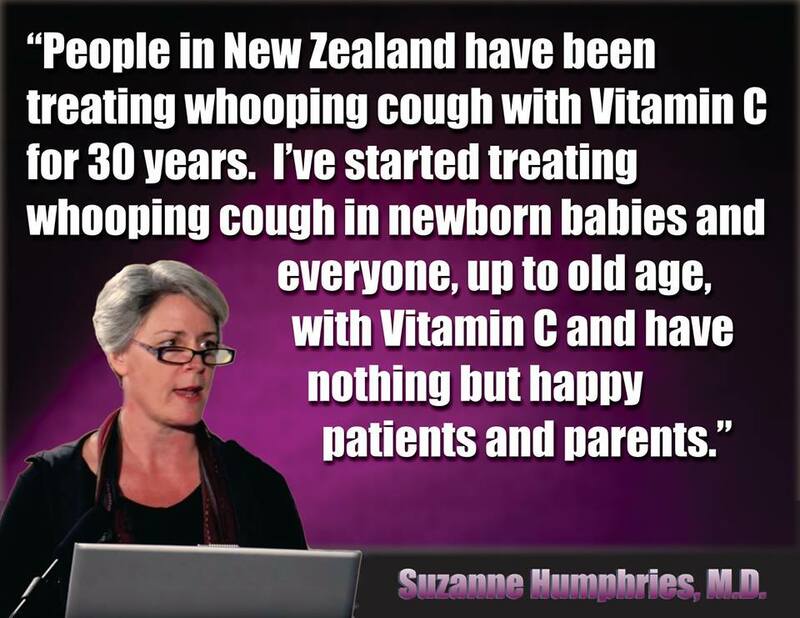 If your kids are topped up with Vitamin C, at least a gram or two/day IMO they will NEVER come down with serious (debilitating coughing) pertussis. Once infected with pertussis the KEY Treatment is three to five grams of Vitamin C/day IMO. We started mass "vaccinating" for pertussis in about 1970. What has happened since? Over 85% of those Getting Pertussis have Been "Vaccinated" for Pertussis MANY TIMES. As more children are "vaccinated" for Pertussis, more times, more Pertussis is being reported. Come on folks this one is fairly easy. How do YOU Protect YOUR Children, Your Family and Yourself from Pertussis and Many Other Diseases? IMO a good start is NO VACCINATION "Vaccination" is a deadly fraud. It has "protected" very few and injects into "vaccination" victims MANY diseases to include Pertussis, Autism the ASD diseases, the Diseases of "Vaccination" and often IMO the diseases of Weaponized Mycoplasma and other pathogens. "The conclusion is that the B. pertussis vaccinated individual now endangers the health of the unvaccinated and vaccinated alike." What if the Vaccine Paradigm itself is Deliberately Flawed? 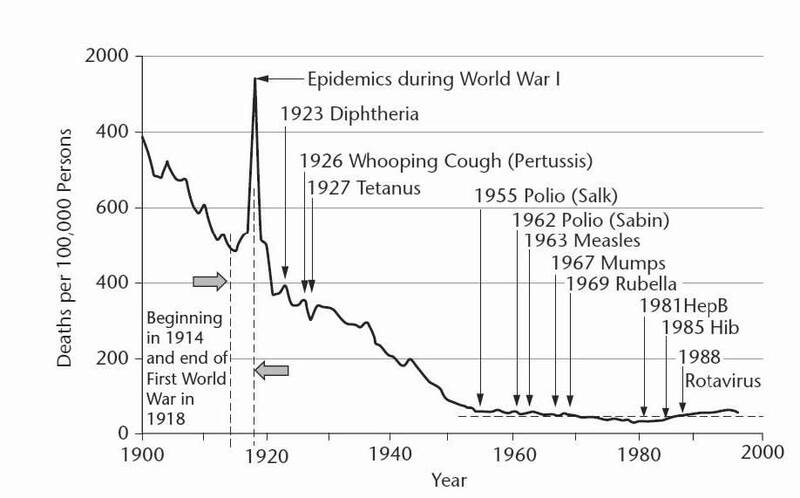 Note this graph is telling us LOTS about the grand "vaccination" lie. One other important thing it is telling us is that Vitamin C (the preventer of scurvy) may prevent much of pertussis complications! Note we now know this is so see Suzanne Humphries' excellent work below. "So How do we PREVENT and TREAT Pertussis; Vitamin C"
“Let’s take whooping cough as an example. In 1979 Sweden withdrew use of the DTP vaccine on the basis that it was not effective and possibly unsafe. The fear, of course, would be that with lower vaccination rates, the death rate would increase. So what happened in this case? A 1995 letter from Victoria Romanus at the Swedish Institute of Infectious Disease Control indicated that deaths from whooping cough remained near zero. Sweden’s population was 8,294,000 in 1979 and 8,831,000 by 1995. From 1981 to 1993, eight children were recorded as dying, with the cause of death listed as pertussis. 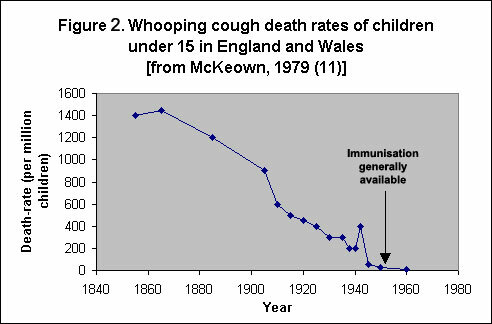 This averaged to be about 0.6 children per year possibly dying from whooping cough. These numbers show that the odds of dying from pertussis in Sweden were about 1 in 13,000,000 even when there was no national vaccination program. " Susan and Roman expose how the "vaccination" fraud was sold to us all. "Based on the only U.S. findings on adverse DPT reactions, an FDA-financed study at the University of California, Los Angeles, one out of every 350 children will have a convulsion; one in 180 children will experience high-pitched screaming; and one in 66 will have a fever of 105 degrees or more.” Jennifer Hyman, Democrat and Chronicle, Rochester, New York, special supplement on DPT, dated April, 1987. That's right -- forget those flu shots. All your kid really needs is a daily dose of vitamin D.” Doctor William Douglass MD, Note 1000 IU of Vitamin D3/20 pounds of body weight/day will protect much better than a toxic "seasonal flu vaccine". IMO vitamin C, about 1 gram/50 pounds of body weight/day may well protect against Measles and Pertussis both of which are occurring in fully "vaccinated" populations. By extension it is quite possible MANY of the "childhood diseases" we now vaccinate for are but nutritional deficiencies in great part. “Data shows that the older version of the vaccine was far more effective at keeping the bacterium at bay, but had more side effects. Those side effects, according to the World Health Organization, can cause high-pitched crying “for more than three hours” in about 1 percent of children. Other, more rare, side effects are high fever and convulsions. “No parent wants to get their child vaccinated and have those side effects,” explained Sawyer, “so I don’t think going back to the old vaccine is the answer.” California’s whooping cough epidemic Note of course that high pitched scream was often encephalitis; you know the problem the “vaccine” was claimed to prevent. So the new DTaP does less VISABLE harm but does not do the job. Such a dilemma. Not for us we do not poison ourselves with either form of this poison. "In New Delhi, India, prior to 2000, ASD/PDD (autism spectrum disorder/pervasive developmental disorder) symptoms were rare – typically only occurring in children who were vaccinated abroad. However, after the Indian pediatricians began recommending, in 2000, the addition of triple-dose Thimerosal-preserved Hib (Haemophilis influenza B) and Hep B (hepatitis B) vaccination programs to the existing Thimerosal-preserved triple dose DTP (diphtheria toxin, tetanus toxin and pertussis toxins) vaccination program recommended by the Government of India, the incidence of a childhood ASD/PDD diagnosis increased to 2 % to 4 % of vaccinated New Delhi children.” Doctor Paul King PhD Note please observe all the mercury being dumped into these innocent Indian children. In the USA much of this neurotoxic mercury has been removed. IMO this is no accident. Depopulation is underway in India and China as well as the USA. "Sweden stopped its whooping cough vaccination program in 1979 when it was discovered that 84 percent of the children who fell ill from the disease had been vaccinated against it three times. And a study published in 1994 in the New England Journal of Medicine noted that more than 80 percent of American children under five with whooping cough had been fully vaccinated." “CDC data shows 84 percent of children under the age of 3 have received at least FOUR DTaP shots—which is the acellular pertussis vaccine that was approved in the United States in 1996—yet, despite this high vaccination rate, whooping cough still keeps circulating among both the vaccinated and unvaccinated. More likely than not, the vaccine provides very little if any protection, and this was evidenced very clearly in a study published in Clinical Infectious Disease.” 81 Percent of Whooping Cough Cases Occurred in People Who Were Fully Vaccinated Note it is clear to me this "vaccine" is worthless and very dangerous. Please try vitamin C; it will prevent pertussis as well as treat it. "In the New England Journal of Medicine July 1994 issue a study found that over 80% of children under 5 years of age who had contracted whooping cough had been fully vaccinated." "A CDC study suggests that the resurgence of whooping cough is due to the vaccine causing an increased and more virulent toxin. The CDC acknowledges that whooping cough is recurring in highly vaccinated countries -- and that it is not just because some children are unvaccinated, although that can be a factor." In 1977, Dr Jonas Salk, who developed the first polio vaccine, testified along with other scientists that mass inoculation against polio was the cause of most polio cases throughout the USA since 1961." Science 4/4/77 Abstracts, Note here we see that if you have polio you have had the "polio vaccination"
Folks IMO this pertussis farce is proof “vaccination” does not work. The “pertussis vaccine” (DTaP) is incredibly toxic and is being given to kids, adults and geriatrics often five and ten times in a lifetime. 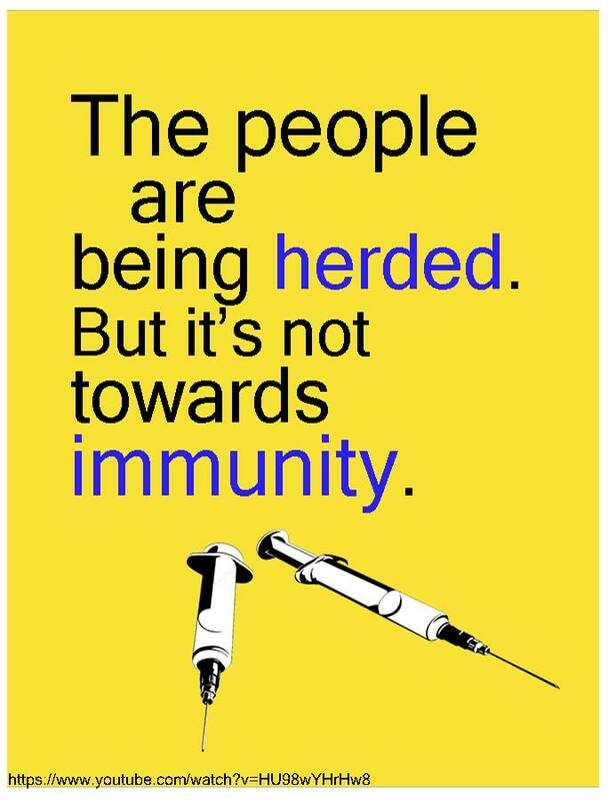 The s "DTaP Shot” is dragging down the immune systems of all who receive it EVERY TIME they receive it. IMO the “DTaP Shot” is a bio-weapon being used on humankind. Why do MOST Parents NOT know of Bordetella Parapertussis? “Here, we show that, in contrast to B. pertussis, both B. parapertussis strains can cause disease in older pigs and adhere in porcine tracheal organ cultures at levels similar to those of B. bronchiseptica. Moreover, B. parapertussis exhibited higher resistance against pBD1 in vitro. The development of this novel model will enable us to better understand the role played by innate and mucosal immunity in disease protection and assist in the development of more-effective vaccines against both B. pertussis and B. parapertussis.” Infection with Bordetella parapertussis but Not Bordetella pertussis Causes Pertussis-Like Disease in Older Pigs Note IMO if an honest investigation of the many species of Bordetella is conducted a “vaccination” will be found not be a viable solution. You however have to conduct this investigation yourself as this problem has existed for decades and is constantly being covered up. Bordetella pertussis and Bordetella parapertussis: two immunologically distinct species. Clearly the wool is being pulled over our "pertussis" eyes. Much of today's clinical "pertussis" is probably being caused by the parapertussis bacteria and low vitamin D and C levels, for which the "pertussis vaccine" offers no "protection". The clinical presentation of both species is identical to every parent and almost all clinicians; testing is rarely done. What is most interesting in the second study above is that we see our good friend NATURAL IMMUNITY may be the answer for ALL Bordetella species; just as we should expect. IMO NO "vaccine" is ever required if the baby has high vitamin D (and vitamin C) levels ANY species of Bordetella or any other pathogen is instantly defeated before it can breech the mucosal layer protecting your baby. Of course the CDC has assured almost ALL babies have LOW vitamin D levels. I almost cry when I see young mothers "protecting" their babies from "skin cancer" by making sure they are getting NO vitamin D producing SUNSHINE. Vitamin D is protecting their babies from skin cancer and millions of other threats, most unknown. Does the CDC mention this? Pertussis May have a Simple "Cure"
What is so pathetic about this whole episode is that IMO vitamin C in sufficient amounts, and vitamin D in sufficient amounts, looks to be all that is required to prevent or greatly alleviate pertussis. If we look at the pertussis "epidemics" globally we find that most occur in areas that receive little winter sun thus low vitamin D levels. We see the epidemiological correlation between pertussis and scurvy, a VERY low vitamin C level. We already know the 'Seasonal Flu" and other viruses are "Cured" by high levels of vitamin D. We know much of atherosclerosis is "Cured" by high levels of vitamins C and E. Could it be most childhood "Diseases" can be "Cured" or strongly alleviated by adequate amounts of common vitamins and nutrition? Why does the Food and Nutrition Board say you only need 90 mg of vitamin C a day? Why do they say you only need 200 IU of vitamin D a day and to stay the hell out of the sun? IMO get at least three grams of vitamin C/day and 1000 IU of vitamin D3/ 20 pounds of body weight/day OR LOTS of sun. Vociferously refuse all "vaccinations" and enjoy your health. “Anti-vaccine movement causes the worst whooping cough epidemic in 70 years”- Oh Really??? Please note our kids are often getting SIX doses of the immune suppressing totally unnecessary worse than WORTHLESS Pertussis vaccination poison TODAY. IMO please STOP all "vaccinations" at least until this Political Pandemic is over. There is much puzzlement in the "Medical Industry" as to why young people are falling victim to this "Swine Flu" plague. Six doses of the immune system suppressing Pertussis and puzzlement; IMO someone needs to go to an honest medical school. Does anyone know where to find one? Folks IMO this pertussis lethal farce is proof “vaccination” does not work. The “pertussis vaccine” is incredibly toxic and is being given to kids, adults and geriatrics often five and ten times in a lifetime. IMO the “pertussis vaccine” is a bio-weapon being used on humankind. What is so pathetic about this whole episode is that IMO vitamin C in sufficient amounts, and vitamin D in sufficient amounts, looks to be all that is required to prevent or greatly alleviate pertussis and many other childhood diseases. If you have pertussis or do not wish to have pertussis Please don't consider the pertussis producing practice of pertussis vaccination. There is little question that pertussis vaccination is a cause of pertussis. Patrick Jordan explains how autoimmune diseases often follow the barbaric practice of "vaccination". Please investigate the practice of "vaccination" and IMO reject it as a deadly scam. IMO this is possibly the best gift you can give your immune system; or more importantly the immune systems of your children and grandchildren. There is little question that vaccination is a cause of many allergies and autoimmune diseases including Leaky Gut. Doctor Moulden, Patrick Jordan and others explain how ischemia, chronic inflammation allergies often follow the barbaric practice of "vaccination" in a deadly cascade. After "vaccination" ischemia, chronic inflammation, leaky gut and allergy often is induced often followed in turn by delayed hypersensitivity, serum sickness and finally autoimmune disease. Of course autoimmune disease as bad as it is is often not the WORST effect of "vaccination", there is autism and death. 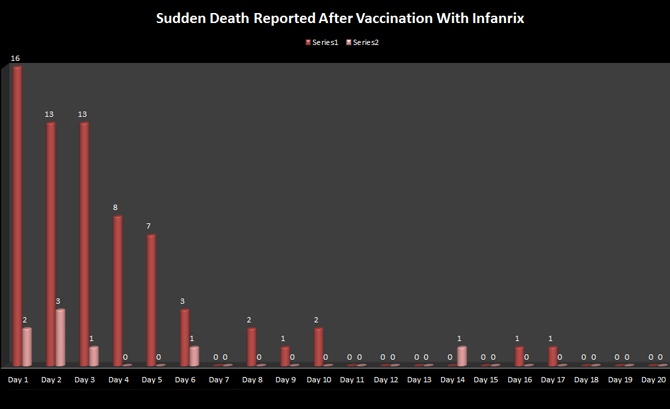 There should be little doubt that "vaccination" causes SIDS. IBD is demonstrated to be STRONGLY associated with autism and the MMR and measles "vaccines". "Vaccination" confers no or little real benefits and LOTS of risks. So tell me once again WHY are we "vaccinating"? Note this graph is telling us LOTS about the grand "vaccination" lie. One other important thing it is telling us is that Vitamin C (the preventer of scurvy) may prevent much of pertussis complications! Note we now know this is so see Suzanne Humphries' excellent work below. This wonderful document by the infinitely insightful Hilary Butler is the very best on Pertussis I have read. If mothers would only slowly read this clinically complete document and reread it as a working document our pertussis problem could be solved IMO. Counting on the worthless CDC and your dull ped is not cutting it. Twenty years have proven this. With a little study, this document and some networking, parents can and MUST solve pertussis all by themselves IMO. 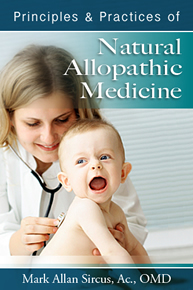 How One episode of natural whooping cough renders the recovered immune for at least 30 years. How whooping cough in naturally convalesced adults will be a nuisance cough. “1000 IU of Vitamin D3/25 pounds of body weight/day can abolish upper respiratory infections in your child.” Doctor Doctor Ronald Hoffman MD, Note WOW! At least five studies show an inverse association between lower respiratory tract infections and vitamin D levels. That is, the higher your vitamin D level, the lower your risk of contracting colds, flu, and other respiratory tract infections." The Evidence for Vitamin D as a Primary Defense Against the TB bacillus , Note this includes viruses including deadly viruses such as H1N1 and other Political Pandemic bio-engineered viruses. Many respiratory infections and other lung problems may be nothing other than a chronic vitamin D DEFICIENCY and often a Vitamin C deficiency. This is the conclusion of many knowledgeable researchers and doctors. The mechanism for this is clear if your vitamin D levels are too low your antimicrobial peptides in your UPPER lungs cannot intercept and eliminate the viruses, fungi, bacteria and protozoa invading your lungs and these pathogens are allowed DEEP into your lungs where they cause MUCH greater problems. We KNOW our kids have a chronic vitamin Deficiency. 95% of us DO. Could this CHRONIC vitamin D deficiency be the cause of much of Pertussis, TB, COPD, Seasonal Flu, Viral Flu, Pneumonia, Asthma, Allergies, Cystic fibrosis, Bronchitis, Emphysema, Interstitial lung Disease, and many other specific and non-specific lung problems? Of course it could. IMO it OFTEN IS. If you are suffering any chronic lung problem try getting your vitamin D levels up to at least 60 ng/ml before any drastic action, like a toxic drug or a worthless "vaccine". Vitamin D is most useful in a PROPHLACTIC role. Please get your child's vitamin D levels up to 60 ng/ml no matter what the uninformed CDC and your uninformed ped says. You do this with SUNSHINE. This engineered chronic vitamin D deficiency is KILLING us; lung problems are just the tip of the iceberg. The SUN may PREVENT serious pertussis ; Vitamin D may prevent serious pertussis so you never have to worry about an OCCURANCE or a CURE. Mild pertussis in a healthy child who has received some immunity from his mother, is NO problem . 95% of pertussis infections occur without the recipient knowing they have the pertussis. What we should be trying to do is prevent SERIOUS childhood diseases; mild forms of childhood diseases are immunosalubrious and help to develop your child's healthy immune system. ALL "vaccines" are immunosuppressive and seriously impede the healthy NORMAL development your child's immune system. Vaccines are ABNORMAL. How hard would it be to double blind vitamin D at 60 ng/ml against the "pertussis vaccine"? It would be simple but it will NEVER be done. The CDC KNOWS what the result will be. We like our sheeple ignorant and sick. Dare I say dead because that is what this engineered vitamin D deficiency is doing to us. We already know the 'Seasonal Flu" and other viral diseases are Prevented by high levels of vitamin D. We know much of atherosclerosis is prevented by high levels of vitamins C and E. Could it be most childhood "Diseases", certainly pertussis, measles, polio and the seasonal flu can be prevented or strongly alleviated by adequate amounts of common vitamins? YES it could. Was the "Pertussis Vaccine" Designed to Lower Our Immune Function? "Recent studies support the hypothesis that pertussis infection is very common among adults. IgA anti-bodies to pertussis antigens are only produced after a natural infection and not after immuniza-tion. Prevalence studies of IgA antibodies show similar rates among adults in countries with generalized immunization (U.S.) or in countries with no systematic pertussis immunization (Germany in the 1970’s)." Pertussis in Louisiana ,Note so why "vaccinate" everyone and his dog MANY TIMES for this relatively harmless COMMON infection when that "vaccination" is proven to be worthless? Yes it is my studied opinion that the DPT and all its variants is designed to lower our immune response to attacks. Very few doctors realize this; bless their ignorant souls.